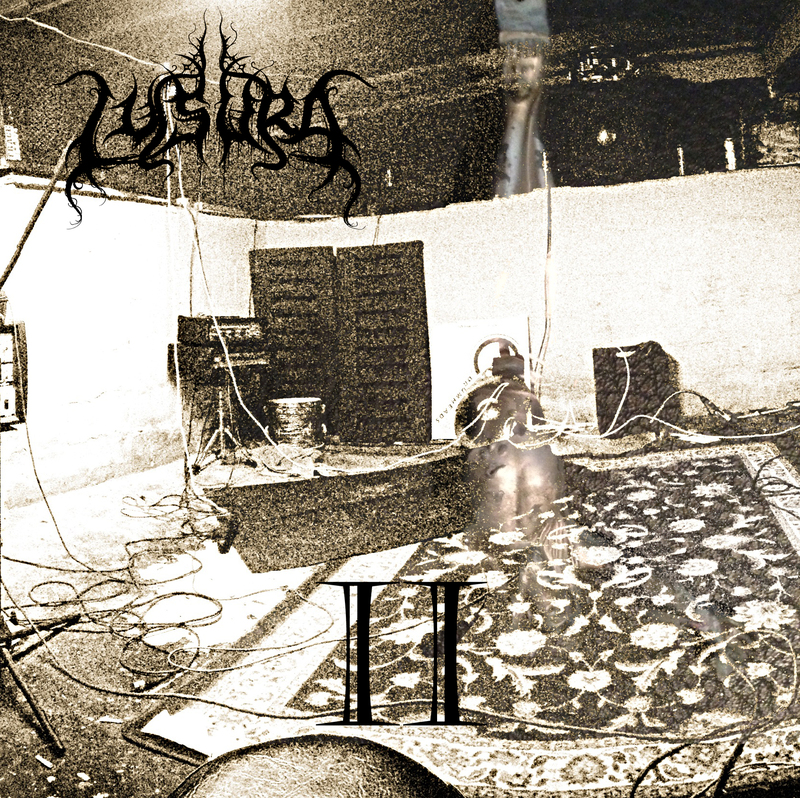 Lysura presents an atmospheric second EP with “II” full of haunting moments and black metal soundscapes. Featuring and formed by ex-Acheron guitarist Max Otworth, Indianapolis’s Lysura, has a good level of skill behind them that makes this EP sound and feel quite fresh. The EP opens with “Seasons Of Exile” and its eerie guitar chords and spoken word vocals building up a really cool sound as the guitars get more overdriven and the drums build up with beats on the toms. The band crashes into a bleak yet monumentally heavy riff with some awesome drumming; this feels really tense and works really well. The band then heads into blast beat territory with some old school sounding black metal vocals. The guitar and drums work really well here as well. The song drifts seamlessly from ultimately heavy riffs to bleak and melancholic moments, and from a songwriting standpoint is very interesting, with lots of different moments and a tense atmosphere pertains throughout. “Tome Of Surreption” follows this by crashing straight into a hefty black metal guitar part that feels a bit more straight up at first, but goes into some clean guitar-work that sounds really nice, with some great support from the rhythm section here, before crashing into some more epic riffs later, with some well layered guitars meeting with the crashing drums. 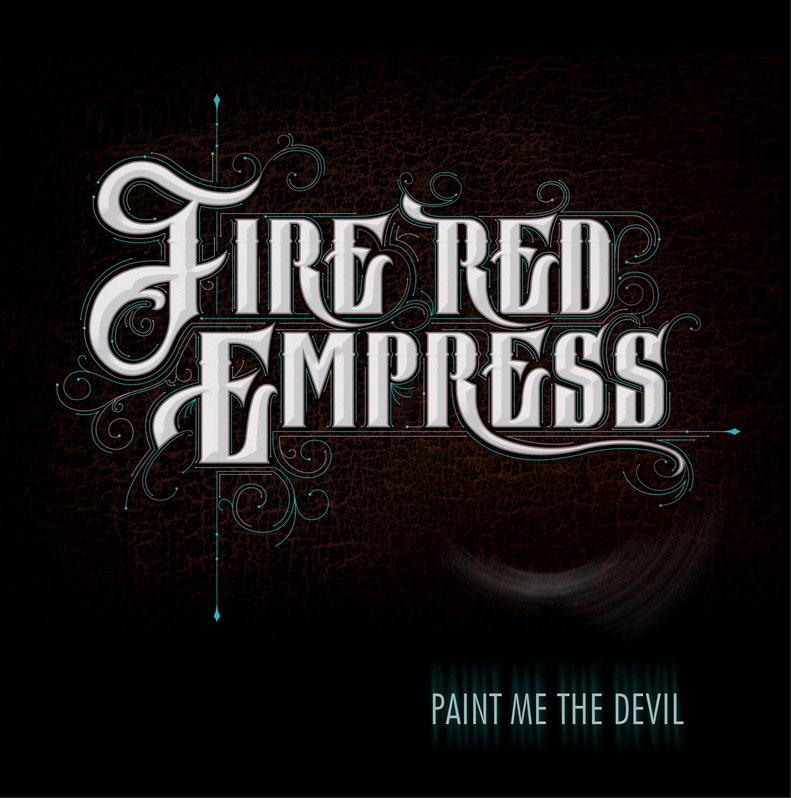 There are some awesome harmonised guitars about midway through, and the feeling of chaos reigns in this song, with lots of hectic riffs and mad drums, with deep bass flowing throughout, with the overarching bleak vocals over the top. The production is better than the average black metal release, which I quite like. It still sounds suitably raw, but the drums have a nice bit of power to them, and the guitars work really well overall. The vocal sound is pretty good for the genre, and the bass is fairly quiet but does a good job holding down the rhythm in the end. This is a good release from Lysura, with a lot going for it; good songwriting bolstered by good musicianship and great build-ups, with a solid feeling to the playing. 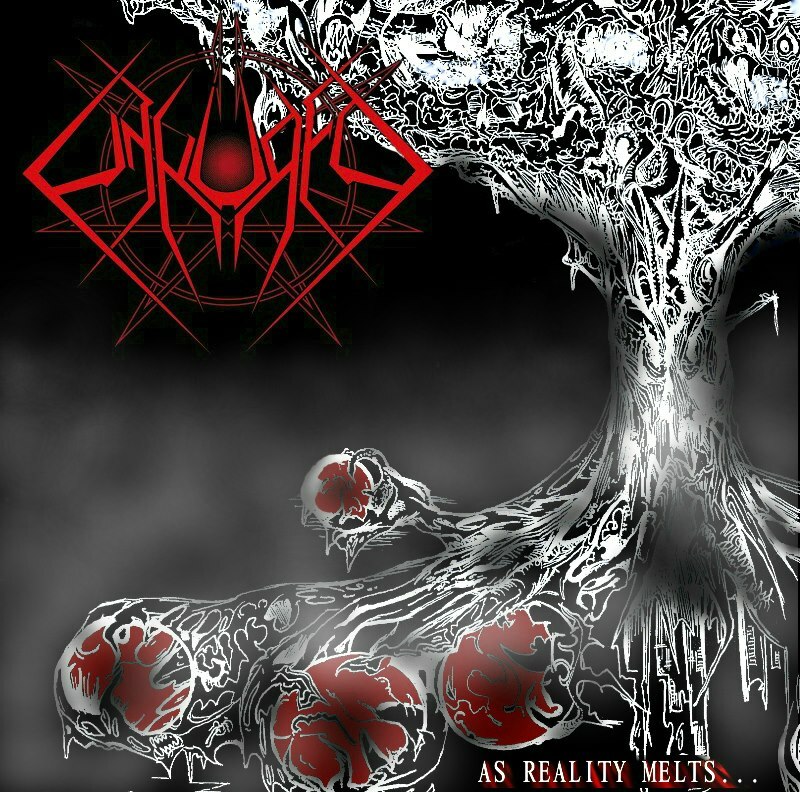 Definitely one for fans of black metal and those who like things on the heavier side of atmospheric. 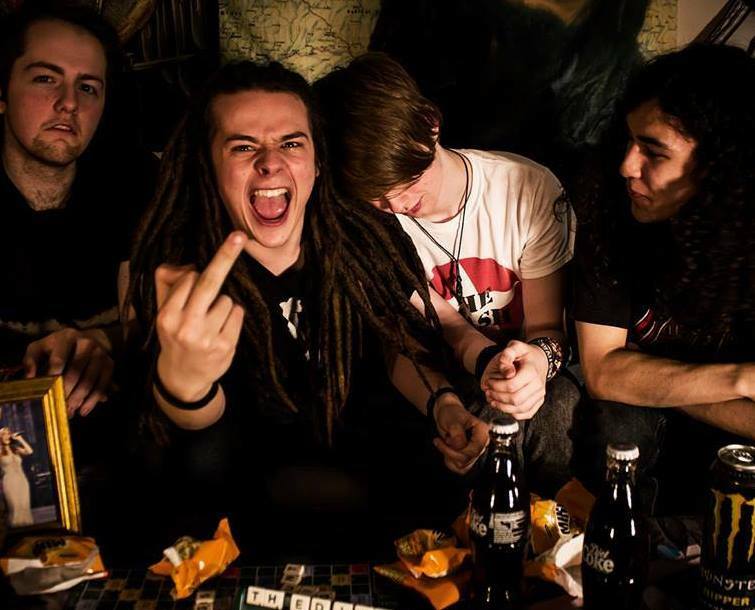 From the depths of Essex comes a band steeped in traditional sounding riffs and full of attitude. Osmium Guillotine brings the thunder with their debut self-titled album, with a great sense of style, some fantastic musicianship and solid songwriting too! Opening up with a symphonic style intro courtesy of Chris Saunders (Earthmass, Chestburster, 5 String Drop Out Band and many other projects) and this builds a nice atmosphere to get us started off here, with stabbing synths and cool sounding strings lending themselves to the excitement of the upcoming album. This leads into the first track with the band is “Martyrdom” with a kind of eastern riff giving way to crushing power chords, before the chugging main riff crashes in. The vocals of Peter Keliris soar over the riffage, with powerful lyrics about religious extremism. The style on this one toes the line between Thrash and old school British metal, but the next track “D-Day,” a classic of the Osmium Guillotine live set, definitely leans towards the latter, with mighty guitar harmonies and awesome old-school riffs meeting with a great vocal performance a cold “gang-chant” style chorus. 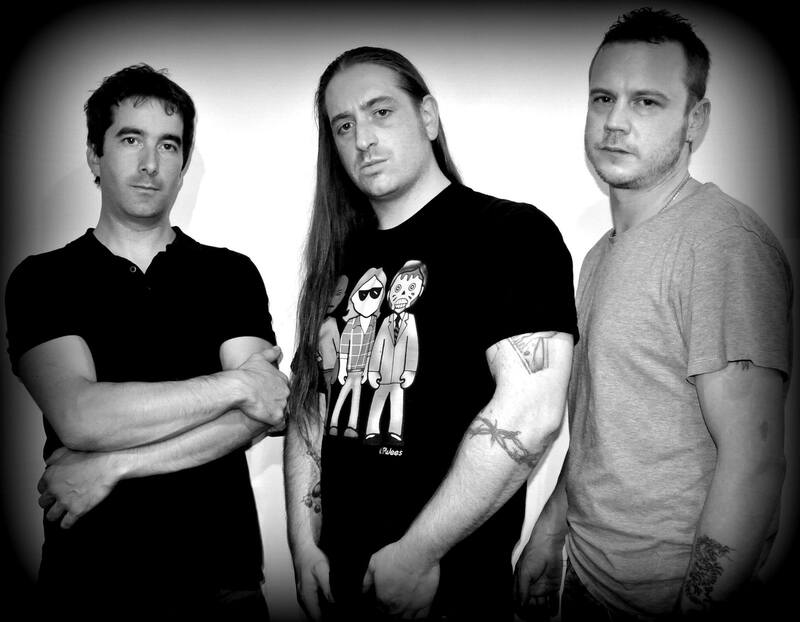 “Phobophobia” was the first taste of the album we got in 2013, and it’s as powerful now as it was then, about “the fear of being afraid” with some more awesome vocals from Pete and a great heavy metal attack all around, with an awesome guitar harmony later on too! “Blight Upon Mankind” is another older song from the band, with ominous clean guitars and tense drumming leading way to some evil sounding riffs later on. 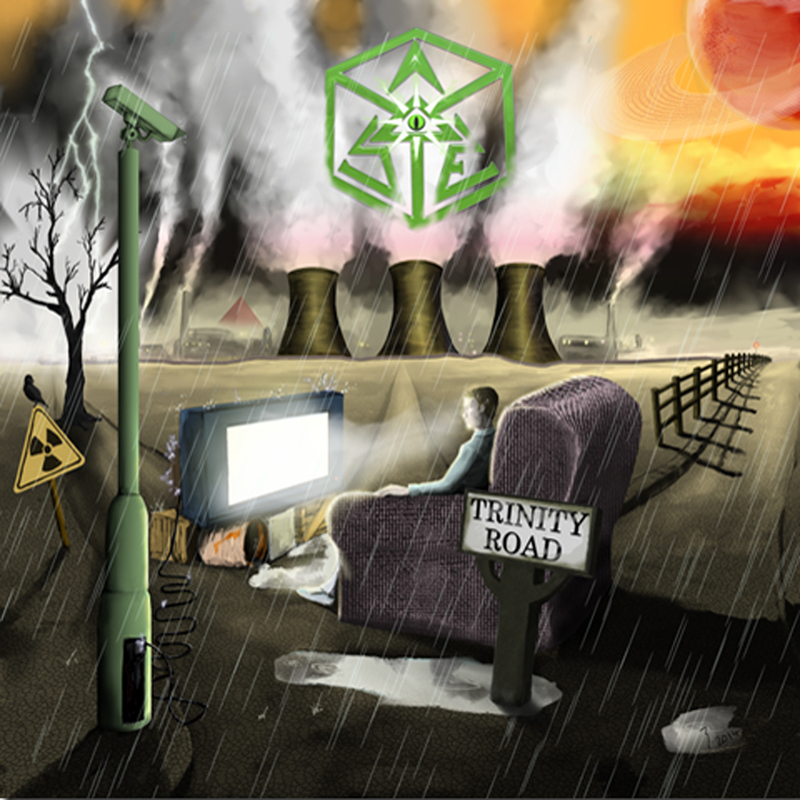 This is a great track from the earlier days of Osmium Guillotine’s 5 year history and it still holds up on the album! “City Of Chaos” begins with a great classic metal riff before the drums crash in and the riff grows in power with the backing of the rhythm section. 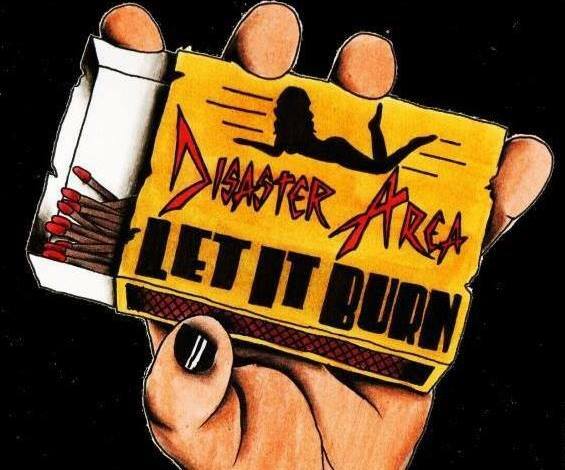 This is a more politically charged song about the state of the country, and the song on the whole has a kind of speed metal meets thrash mentality, with crazy fast riffs and some great playing too! “Hobgoblin” is another live classic about the Ale of the same name, telling the tale of Wychwood. This a great song with a bit of a folky sound to it, and a main riff that you could probably dance a jig to. “Goomba” takes things in a totally different direction, drop-tuning the guitars and introducing the track some fantastic bass playing from Dan Thurgood. This song has a real groove to it, feeling a little more 90s, and is about the enemy of the same name from Nintendo’s most popular series of games, but this one’s from the perspective of the Goomba itself and is quite clever! The song as a whole is a definite highlight of the album, with great guitar riffs, awesome vocal moments and some super solid drums from James Balcombe. “Into The Battle” is another classic from the guys, with some great harmonised guitar riffs making it feel a bit more British, but then unleashing blast beats and some more black metal style playing in places, with some great riffage overall, and it’s nice to hear this one on the album as well! “Breathe It In Son” is the instrumental track of the album, and it keeps things interesting throughout with lots of fantastic melodies and guitar parts, with a cool bass solo later on in as well! “Subhuman” closes the album with one last OG classic; this is quite a lengthy track, with lots of false endings and the like to keep listeners on their toes. It’s a good finish to the album, with some great guitar playing that will keep people listening to the end, and hopefully make them go in for another spin! The production is pretty good on the album, the drums and vocals are particularly impressive, with lots of nice cymbal sounds going on and some aggressive sounding vocals mixed quite well. The guitar gel well with each other, and though the bass sounds great I feel it could have done with going up a bit in the mix personally. 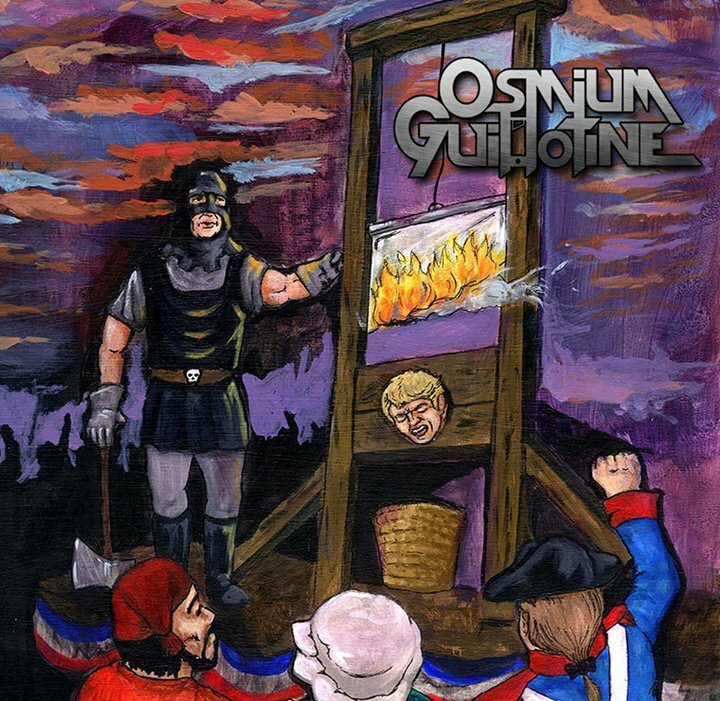 This is a fantastic debut album from Osmium Guillotine, with the blend of attitude, style and musicianship only true British metal can deliver. 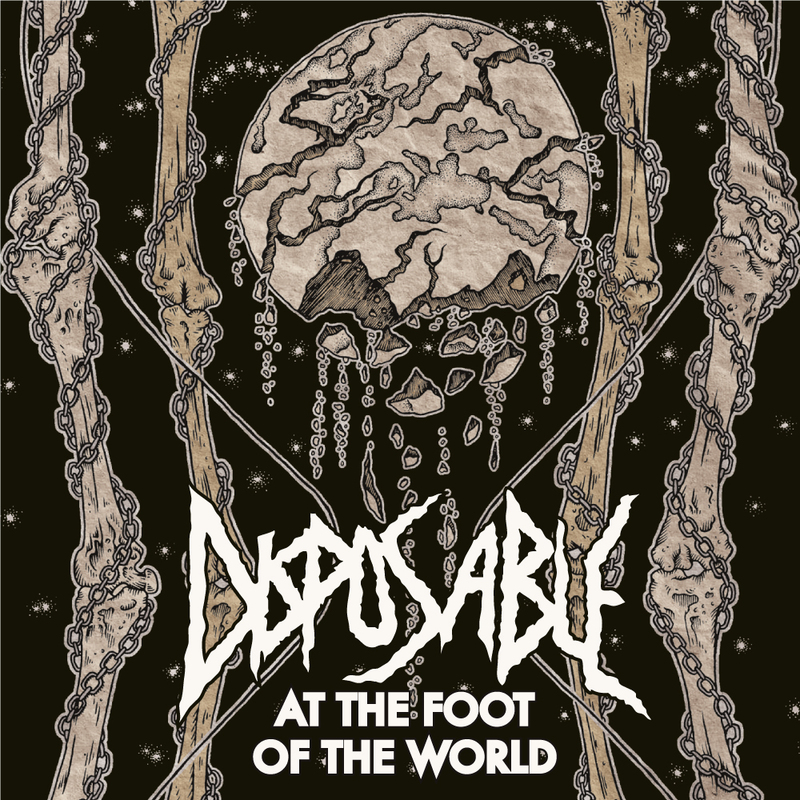 There’s a new wave of metal on the way and this is exactly the kind of stuff that ought to be at the forefront of it, dark and heavy without being “brutal”, with great musicianship and songwriting.